As a hypnotist (or even a hypnotherapist), we are often asked to demonstrate 'the powers of hypnosis', and as well we should... Hypnosis demonstrations can be a great way to promote yourself, whether helping to create online media content (i.e. pics and videos for your social channels), engaging with new potential clients, or generally just as a great way to entertain, amaze and inform! This course is not only a great introduction into the world of 'entertainment hypnosis' but also a great way to refresh and build your suggestion skills, your hypnotic delivery, your understanding of stage hypnosis techniques, and your confidence in more effectively using hypnosis whatever the area, be it stage, street or therapy! ...those skills that will help you to actually go out and DO IT! So, what will I learn on the course? On DAY 1 of the Stage & Street Hypnosis 101 course, you will learn how to pick volunteers (suggestibility/susceptibility testing), how to Hypnotise people FAST (rapid inductions), how to use rapid trance deepening methods, and how to “deprogram” and wake up volunteers. On DAY 2 of the Stage & Street Hypnosis 101 course, you will learn a stage hypnosis-style 'rapid progressive' induction, you will create your own quick 'pre-talk', you will learn how to recognise and achieve different types of hypnotic phenomena, and how to create funny skits & sketches (sticking people to the floor, making them forget their names/numbers, making them believe they’ve won the lottery, etc…). You will be practicing these techniques in class. 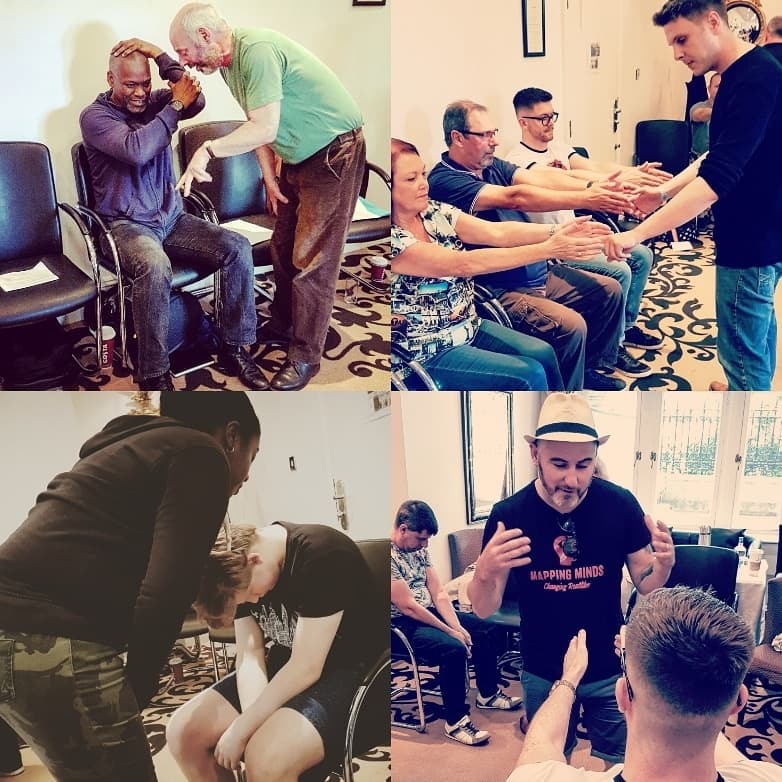 A lot of time, experience and research has gone into making this course the very best option for you to learn stage & street hypnosis skills, covering more in 2 days than many trainers could ever expect to cover, whilst keeping the course-content in-depth, fun and highly practical. Once again to clarify: This course does not cover stage set-up / show management / business information, but only the practical aspects of how to get people doing fun stuff using hypnotic suggestion! Whether you know a little bit about hypnosis already or even if you know absolutely nothing about hypnosis, that’s fine because students of all abilities are welcome. The course has been specifically designed so that people of all backgrounds and skill-levels will be able to understand and participate. This 2-day course is tailored to those people who are actually looking to entertain with hypnosis, but also, for those hypnotherapists who are looking to deepen their understanding of how to deliver hypnotic suggestions or perform impromptu demonstrations for clients. If, however, you DO actually want to be a confident hypnotist (or hypnotherapist)… If you DO want to learn how to give awesome hypnosis demonstrations, or put on a show (whether on stage, parties, on the street, in the therapy room, or anywhere else)… If you DO want to learn how you can have fun with hypnosis… If you DO want to learn how to more effectively create and deliver suggestions... This DEFINITELY IS the course for you! Why do I need to do a course? You should book a place on this 2-day course because you will learn to quickly, confidently and easily hypnotise in any place at any time. You will also learn how to come up with hypnotic suggestions and how to effectively deliver them to create entertaining stage/street hypnosis-style routines and sketches. The course follows a practical format, so; NO! It’s not a boring “lecture” course, you will be getting stuck in! You will be hypnotising people! So if you don’t want to actually hypnotise real people then DON’T book a place on the course! Training with Rory Z is a fun, easy-learning process where you’ll benefit from Rory's years of hypnosis experience and a highly practical, hands-on style of training. Another thing that sets this course apart from others on the market is the opportunity to get direct feedback from Rory as you practice throughout the weekend. A final reason (if you need one) is that you can now get a whopping £150 OFF the course price!!! Also, if you book with a friend or three, you can save an additional 5-15% OFF the already ridiculously reduced price! ...now that’s an awesome deal! I’ve spent the past weekend training on Rory Fulcher’s Stage and Street hypnosis course. Having known Rory for a number of years and having been on many of his courses before I can’t recommend this highly enough. He jam packed a lot of information into the 2 days and it was paced well for both beginners and more seasoned hands. Hi Rory, It’s been just over a week now since I’ve followed your street hypnosis workshop. I just like to thank you again for this eye-opening experience! I’m not into Street Hypnosis, but what I’ve learned is of great importance for what I’m intended to do. Warning! Do not attend this training! I attended it, and literally 2 weeks later I was performing my own hypnosis show for a private party - which they all thoroughly enjoyed. As a result of that, I was booked for a charity fundraiser, and things have just gone on from there - I’m being flown out to Italy next year to perform at a wedding. This is all Rory’s fault for providing such a comprehensive introduction to stage hypnosis including the technical hows of it all, the ideas behind how to create a compelling and entertaining show, and for giving us a safe (and fun) space in which to actually try out what we were learning there and then, getting invaluable feedback. I’m also blaming him for me meeting many interesting people on the course and developing some awesome friendships with like-minded people, and even forming a show partnership. No UK dates currently available to book.